Harris Estate Vineyards - Napa Valley Wineries - 225 Franz Valley School Rd. 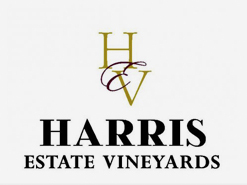 Located on three estate-grown vineyards, Harris Estate grapes are grown on diverse terrain and crafted to reflect the terrior of the Franz Valley area. Formerly a private boys school, this sprawling property produces premium Cabernet Sauvignon from the Calistoga AVA. Purchased in 1997, this steep, wooded property was in great need of repair. Proprietors, Mike and Treva Harris did not realize the property’s “grape producing” potential until 2005 when Mike “retired” from pediatric dentistry and had the soil tested. Together with vineyard manager Michael Black, and Paul Hobbs, they purchased their first available crop. They have completed their 10th harvest with their 2012 vintage. They are excited about the future of Harris Estate and promise the best is yet to come.